Home → Articles → The Difference Between Licensing and Franchising – Does It Really Matter? Usually followed very fast by the statement, “A license is so much easier and faster to set up and so this is the way I want to go.” And you are right, a license is easier and faster to establish than a franchised business. However, there are risks involved in setting up a license incorrectly and it really pays to know the difference between the two and the pros and cons associated with each business model. A franchise is actually a license. But one which is controlled by the Franchise Code of Conduct which requires the franchise agreement and associated business to be conducted in a particular way. And it is most important to know that even if you call your business and its associated agreement a license – if it looks like a franchise, smells like a franchise and functions like a franchise, then legally it will be determined to be a franchise. With any license agreement, however loosely granted, the first three points apply. So really it is just the fourth that is important. Do your licensees have to follow a prescribed system and marketing plan.? And it’s not just what is in your agreement document around these points that matter, but also the way your licenses have to operate and the level of control you want over the way business is conducted. A license can be a good option where you have a strong branded product or have a simple product such as a software system which is easy to sell and you do not want a say how the product is marketed and there is trust in people because you are giving them the right to go to market with your product. And yes, licenses are attractive because you do not have any disclosure requirements or cooling off periods under the Code and you do not have any obligations to your licensees. However, you lose control because your product can then be used in ways you may not want. And because your licensees do not have to report to you, you have no information on the way things are going. So, if a level of control is important then licensing is not suitable. Legally this is a grey area and it is best to look at case law to see how the differences have been applied. There have been challenges from licensees to licensors where courts have determined that business structures are franchises. Because the ACCC has far reaching powers they then require the business to change systems and some have been taken to court and received substantial damages. Are there coordinated procedures and record keeping? Do they limit licensees from selling other things? Is there a formal marketing system? If a licensee is found liable of trying to run a franchise under a license agreement there is a scale of penalty based on penalty units per breach and multiple penalty breaches can apply which can result in fines in the millions. It is worth noting that there are substantial advantages in creating a franchised business rather than a license. Generally, a franchisee’s business is a complete business in itself and can be sold as a business which is worth more because it has a higher asset value. This also applies even more to the value of the whole franchise group. Licensed businesses are not worth much because they are not providing much. Franchisors, through fees and royalties, can get extra capital to cover what has been spent on setting up and running the group and they can be paid for work being done on franchisees behalf – EG marketing funds. It is easier to market franchises to prospective franchisees who know they will be buying into more value because they will get more money because of the protection from the agreement and the brand value. Licenses are suitable in some instances and both Brian and Emma work with both forms of agreement. But it pays to understand the implications before you begin so you need informed legal advice from the start. Listen to the Radio Show where I interview Emma Jervis from LegalVision about the differences between licenses and franchises. 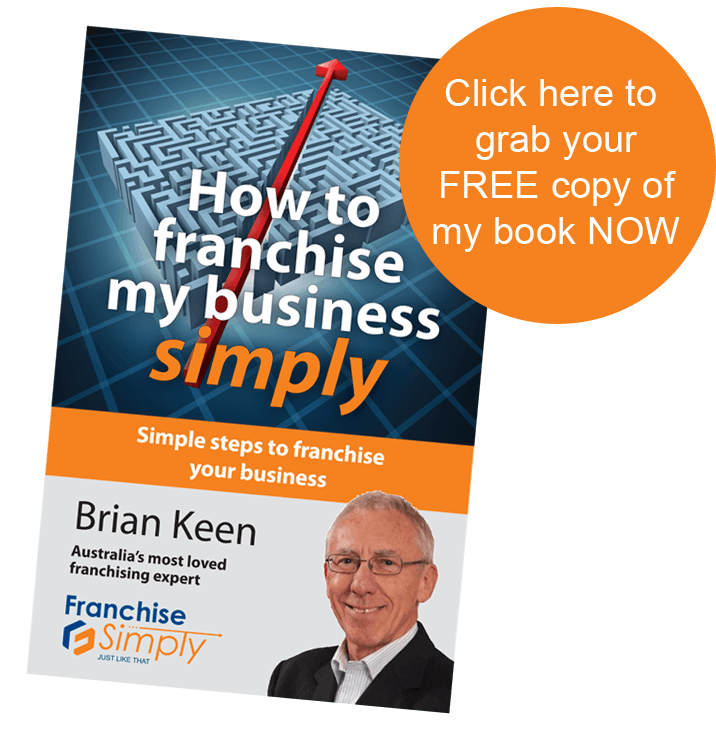 If you get in touch with Brian at Franchise Simply, he’ll introduce you to the right person to give you the appropriate advice.